Shocker! Found this to be pretty amusing this morning while reading the morning news. 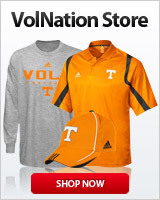 Tennessee would be great again if they'd donate the $$$$$ and SHUT UP and stay far away from our program and school. Didn't Dorsey insist on bringing in Haley to work with Hugh Jackson? Easy decision. Just have to figure out how to lure him up to Cleveland. It's not that far. He could commute. Well, as an avid Cowboys fan, Jerry has been holding us up for 2 decades now. We were in a spot to possibly have a 20 year run like the Patriots are currently on if he hadn't let his ego run Jimmy off. Dan Snyder isn't much better. Yeah, but JJ has a winning tradition with multiple Conference and Division Championships and a couple of Super Bowl rings! Comparing the Cowboys to the Browns isn't fair. That's more than the Browns can say. I predict Petrino to Cleveland.